Select the record for the person whose information you want to share. 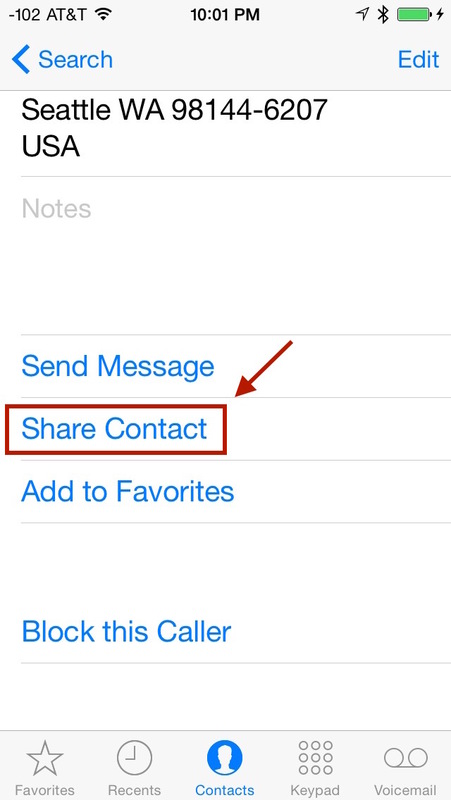 Scroll down and tap the Share Contact button, as shown to the right. You’ll then see the various sharing options including Message and Mail. Both of these options will send the selected person’s information as a vCard. A vCard is special type of file that is used to exchange personal information between address books. Most smartphones and email applications can handle vCards. For this example, tap the Message button. 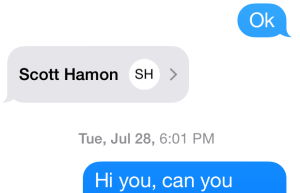 Type in your friend’s name or phone number. 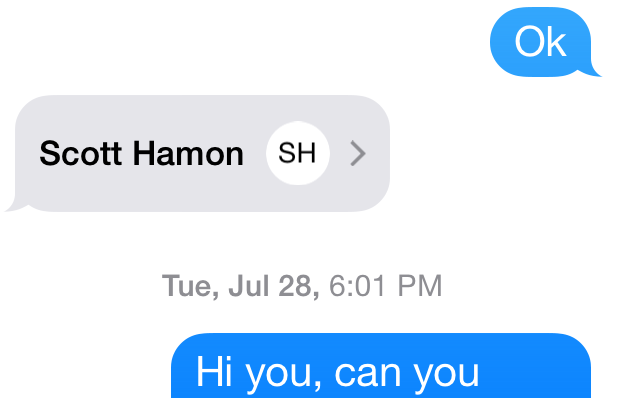 If your friend uses an iPhone he or she will receive a text message that looks like the one shown below in the grey balloon. Your friend should then tap on the arrow. Doing so will reveal the shared contact’s information listed in the vCard. 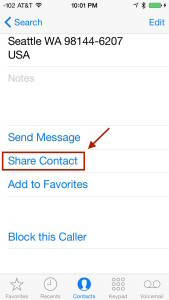 Then your friend can scroll down and tap the Create New Contact button to save this information permanently into his or her iPhone or iPad Contacts app. Read more about email, ios, iPad, iPhone, share contact, text message, vcard.